There are several reasons why there is still hunger in Latin America; one major reason is smallholder farmers’ lack of access to agricultural information. One solution to break this barrier has been through informational text messages via mobile phone. These messages provide farmers access to information that can help them increase their productivity. MasAgro Movil uses mobile technology to provide useful information for Mexican farmers to increase yields and income, as well as expand the awareness of sustainable agricultural practices. Offering valuable agricultural information in Mexico is complex. Mexico has a wide variety of terrain with different microclimates, different types of farmers and crops, various indigenous languages and high levels of illiteracy. In response to these barriers, MasAgro Movil is focusing on generating several solutions based on research to meet the needs of the different actors in the Mexican agricultural value chain. MasAgro Movil operated in its pilot phase until December 2013. In this first phase, the goal of MasAgro Movil’s staff was to understand the profile of potential subscribers – farmers, technicians, buyers and sellers of inputs, scientists and government officials, among other potential users. 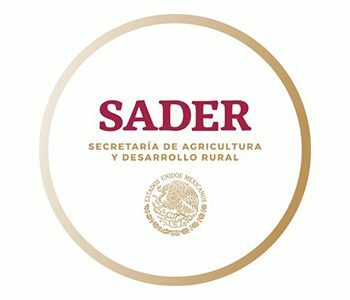 Further, MasAgro Movil staff sought to offer the type of information users are interested in knowing and of finding areas of opportunity in the Mexican mobile agricultural sector. How does the pilot stage of MasAgro Movil work? The service consisted of two channels: Number 5 60 60 registers users into a service to receive agricultural information, and 71 0 71 offered a price and weather service on demand. The first service provided brief agricultural advice compressed into a text message. This service was used by both technicians and farmers interested in conservation agriculture issues. The second service provided the maximum and minimum temperatures, sky conditions and the rainfall for a period of three days via text message. In addition, the price service provided information on prices of different crops in the major markets of the states of Mexico City, Guadalajara and Nuevo Leon. The two channels continued to offer these services following the pilot stage. Along with the MasAgro Movil pilot, research activities and field visits were conducted in order to obtain information to help improve the service. In order to find specific regional needs, interviews were conducted to uncover the profile and needs of farmers, technicians, agricultural companies, institutions and major actors of the agricultural value chain in different states. The results showed that these actors are in need of information on credit, weather conditions, crop insurance, irrigation and machinery, among others. 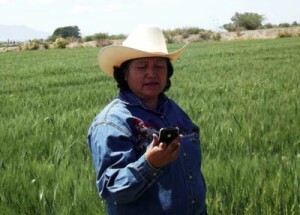 The example of Ilda Espinoza Ortega is solid proof of the benefits of the MasAgro Movil services. Ilda sent a message to number 71 0 71 to request information regarding the weatherof her community. The climate service predicted that over the next few days the temperatures would drop and that a frost would most likely occur. Ilda was unsure of the prediction; however, she decided to run a test with her crops. She irrigated two of her plots ahead of time; the next morning the frost had burned half of her crops, as well as the crops of her neighbors. However, the two plots that she had watered the day before were less affected, she remarked. There is still a great deal to do in order to perfect the system. However, the MasAgro Movil team is working to offer an optimal system.